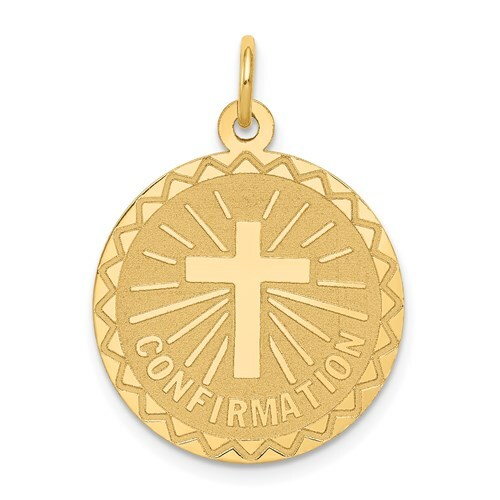 14kt Confirmation Disc Charm. Weight: 1.1 grams. Item measures 3/4 inch round without loop and bail. Confirmation reaffirms Babtismal vows to accept full membership into the Church.